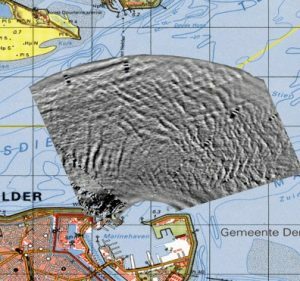 In 1984, TNO started to work on better understanding sea clutter which is caused by reflections of radar by the sea surface and waves. In 1985, it became clear that information about currents and water depth can be extracted from the one-dimensional wave spectrum acquired by a single radar. In 1990, the project SHIRA (SHips Radar) started to measure the wave height at sea using a mobile radar and smart signal processing. Valuable information can be extracted from sea surface and wave reflections by using complex signal processing algorithms. In 1993, experiments took place to determine whether oil spills at sea could be detected and measured. The experiments proved to be very successful. Further developments by TNO led to a complete set of ‘smart’ signal processing tools that could be added to a standard navigation radar on ships. In 1998, TNO started the project Detection of Small Surface Targets (DEKODO). Using SHIRA and a lot of signal processing, a threat by objects which have a small radar cross-section can be detected early. 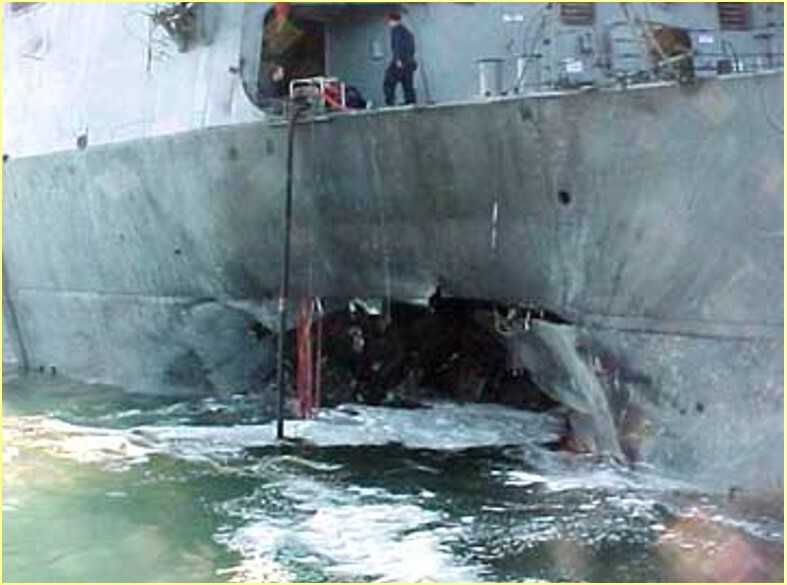 A threat that became reality in the attack on the USS Cole by a small fibreglass boat in 2000. In 2000, SHIRA offered a large number of new radar applications: surveillance of a coastline, oil spill detection, wave height measurement/hydrography, and detection of small vessels at sea. These include a number of applications that are important to counterterrorism and environmental safety. In the course of 2002, a SeaDarQ system was installed on the Arca, an oil combat ship of the Dutch Coast Guard. In November of that year, the Arca sailed to Galicia, Spain to assist Spain in combating the oil spill by the sunken oil tanker Prestige. 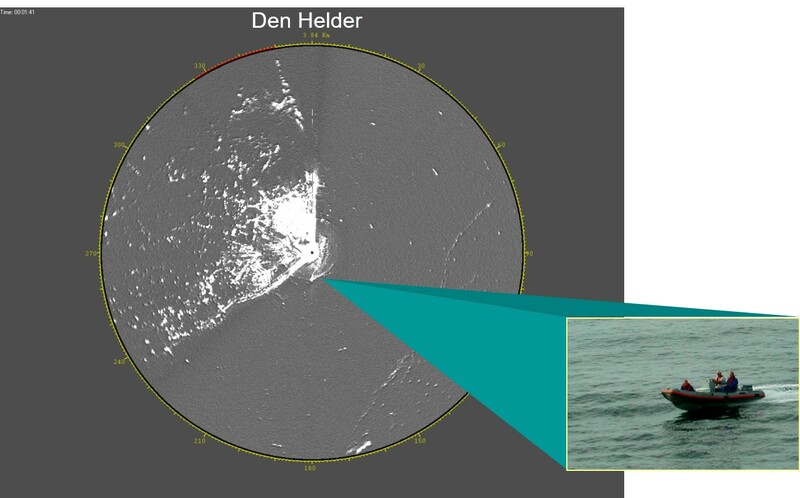 The new radar was able to measure the size and thickness of the oil slick within a radius of 8 kilometres. SHIRA made it possible to act faster and start work at the places where the oil slick was the thickest (from: Water News, 29 Nov 2002). The SHIRA developments were so successful that SeaDarQ BV was founded by TNO and Tech5 BV from Hardinxveld Giessendam in 2003. 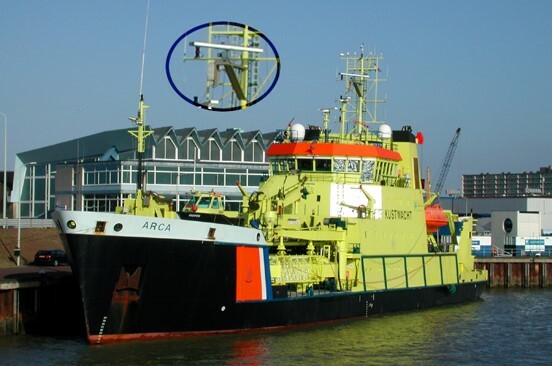 In December 2001, a Brazilian order was received for SHIRA systems for oil detection at sea: detecting oil leakages and oil discharges at night and also in poor visibility by radar. In September 2003, a SHIRA system was installed on top of the tower at TNO Waalsdorp. A part of the North Sea is visible from the tower. With this SHIRA system, new developments could be extensively tested and demonstrated. The tower was also a very suitable location for measurements for calibrations and quality testing. From the top of the tower, real-time radar images could be made of the North Sea waves to a range of at least 10 kilometres. 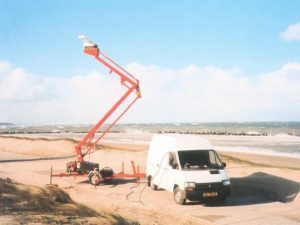 Monitoring ship traffic was possible up to Hoek van Holland and lJmuiden with this set-up. This enabled the SHIRA algorithms to be refined as well as the development of new applications. In September 2003, a SHIRA-system was installed on the mine hunter Hr. Ms. Willemstad to demonstrate that SHIRA can detect and track small sea targets such as rubber boats from a naval ship. The system was also used in a NATO Rapid Environmental Assessment (REA) exercise in Scotland. The aim was to provide environmental data for military landing operations in near real-time: current maps, wave characteristics, water depths, coastline mapping, sandbanks, surf zones, and so on. In the fall of 2003, a SHIRA-system was installed on one of the Wadden islands. The aim was to measure the behaviour of waves across a large sea area during periods of strong winds or storms. These measurements were used to improve existing models for wave behaviour and dune erosion. In October 2003, a SEADARQ-system was installed on an Italian Navy ship to test whether their radar system could be enhanced for oil spill detection. In March 2004, the Oceanology International was organised in de Docklands, Londen. The Hr. Ms. Snellius was present. TNO demonstrated SeaDarQ aboard of the Snellius. The system was used during the sailing over the Thames. 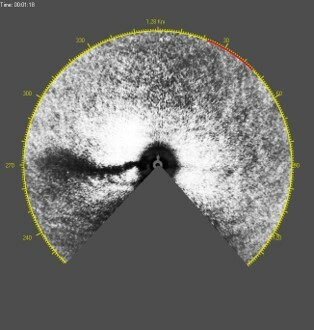 The crew was impressed by the visibility of the sandbanks under the water surface on the radar screen. These recordings were played back during the demonstrations. 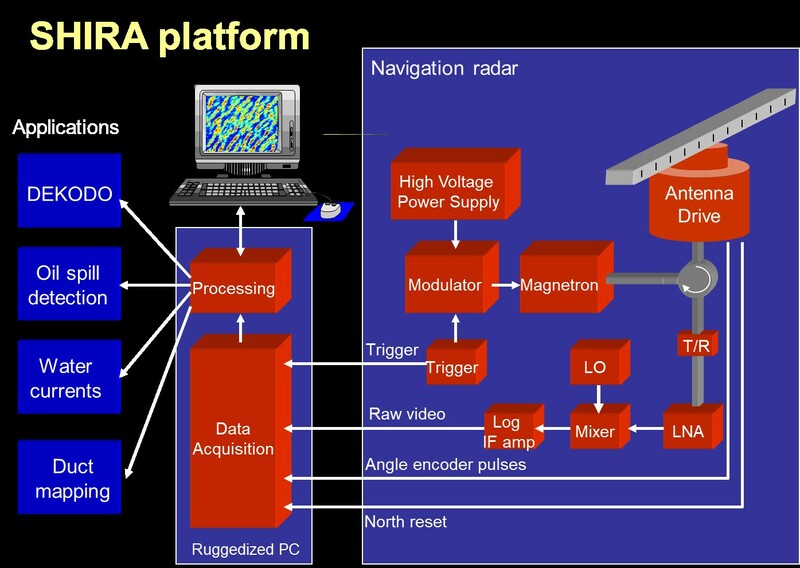 SHIRA: A mobile radar system for monitoring waves, pp. 993-998. In: Conference Proceedings UDT 1991 Undersea Defence Technology, CNIT, La Défense, Paris, France, 23-25 April 1991. Microwave Exhibitions and Publishers Ltd., Tunbridge Wells, Kent.